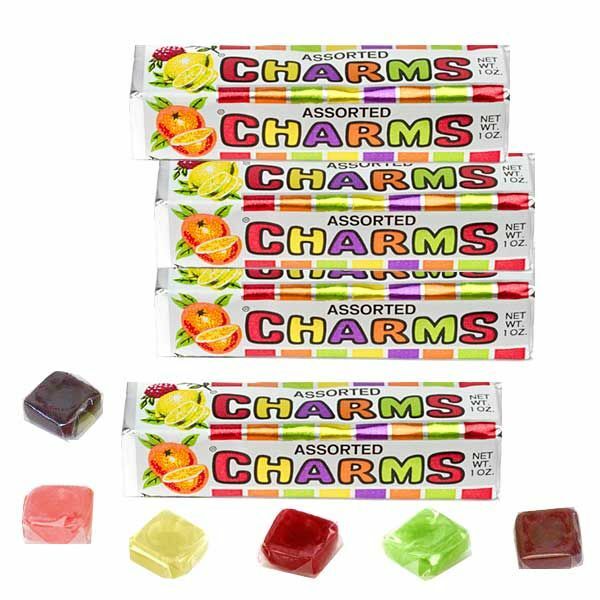 Charms candies are delicious hard candy squares, individually wrapped. They come packed with 7 different flavors. Cherry, grape, lemon, lime, orange, pineapple, and raspberry. Yum! A Nostalgic candy treat that's still available!